Mike Jenkins worked on a charter boat through college. His Granddad was a sailor. His Dad was a charter boat captain. Mike has been in and around the water since the summer he was born. This is why Mike paints boats, beaches, birds, beasts, and the occasional portrait. Most of his inspiration for painting comes from God and the sea. Mike started drawing and painting in the early 1970s. His first mentor was Sidney E King who painted nearly 200 murals for the National Park Service and the largest Mural painted in the USA. Later Mike studied with Kristopher Meadows, one of the most inspiring portrait painters in the southeast and an honors graduate of the Savannah College of Arts and Design. 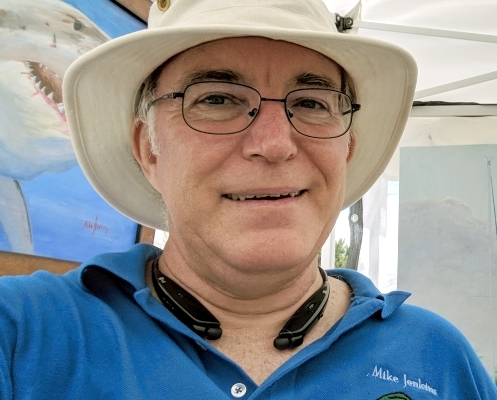 Today, Mike enjoys painting and sketching the beauty of Florida's beaches, birds, and boats. His realistic style using oil and acrylic paints brings God's beauty into your home. 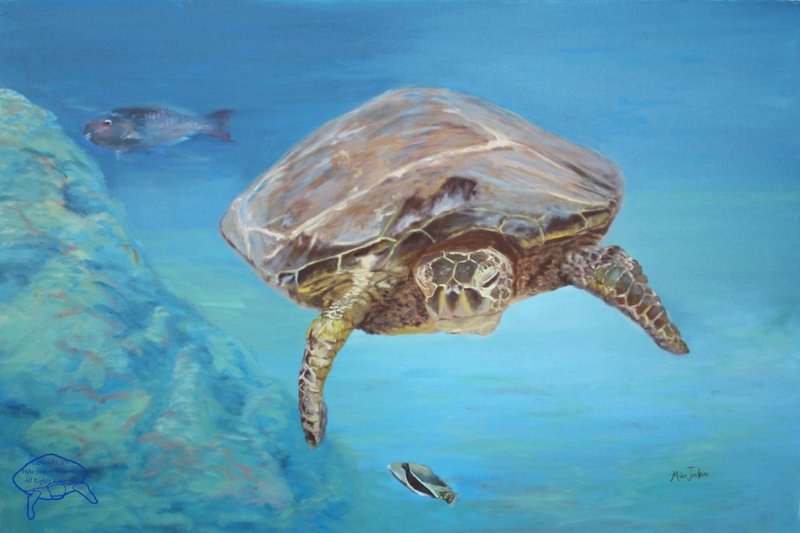 Mike and his wife Betty are juried artists and members of the Jensen Beach Art League. They exhibit their work at www.MikeJenkinsFineArt.com, and Art Connection, Fort Pierce, Fl. If you want to know Mike's thoughts, watch his videos, and see the most recent body of work, like MikeJenkinsFineArt on Facebook. Watch Mike's painting progression by following @MikeJenkinsFineArt on Instagram. Mike's commissions include people, pets, and boats. Email Mike-at-MikeJenkinsFineArt.com to discuss commissions.